NOTE: This content is old - Published: Monday, Oct 12th, 2015. The finalists of a month long food challenge have been announced – with a live cook off planned to crown the winner of the Wrexham Apple Challenge. Across September eateries across Wrexham cooked up a storm in the kitchen to compete in the Wrexham Apple Challenge, in celebration of the 25th anniversary of the Erddig Apple Festival. 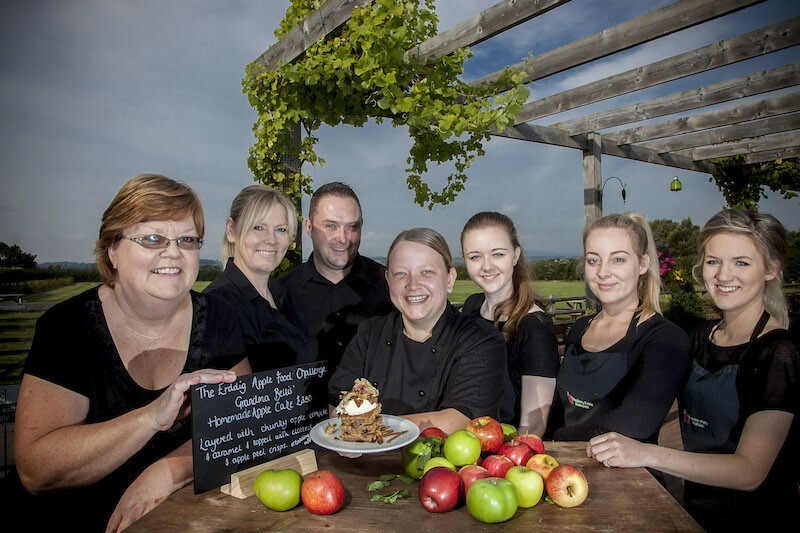 The National Trust team at Erddig and the Destination Wrexham team tasked local chefs to create an apple-themed dish based around one of the 170 varieties of apple grown on the Erddig estate. The first of two desserts to make it into the Apple Challenge final – At the cook off The Ramada Plaza will be serving up a tasty Apple brownie, fried apple pastry, mini toffee apple, cider jelly, green apple sorbet and apple crisps (cinnamon sugar sprinkle). Erddig Apple challenge. 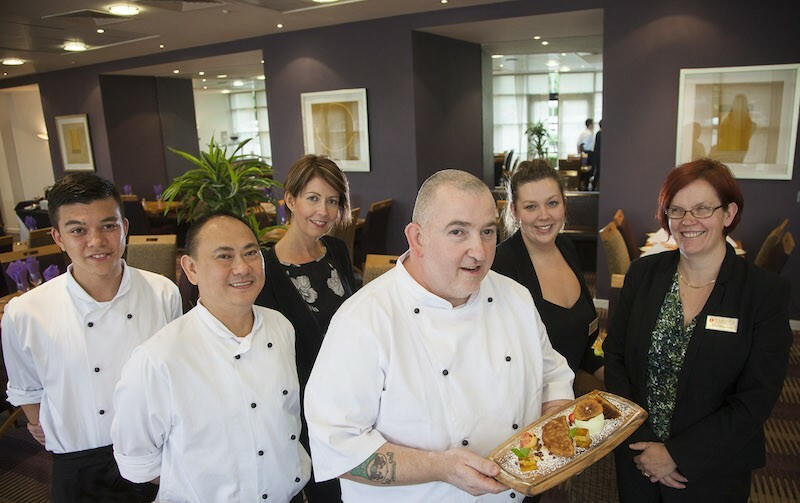 Pictured at the Ramada Plaza Hotel is Chef Steve Rawlinson (front) with Edward Wynne, Danillo Jacinto, Claire Magenheimer, Sophie Walker and Alison Buck. It’s the second Wrexham food final of the year for the Mulberry Inn, who also made the shortlist for the Wrexham Burger Challenge earlier this year. 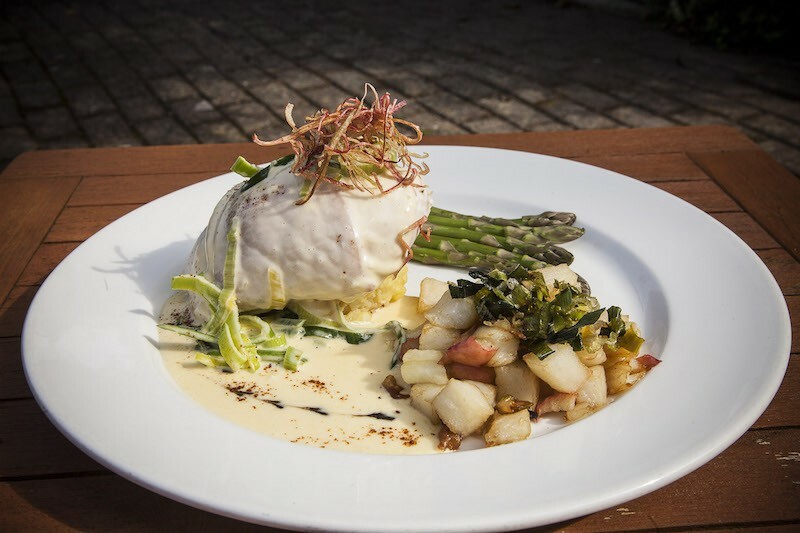 The restaurant’s apple meal consists of locally sourced chicken breast wrapped in bacon with Cox’s apple and Caerphilly cheese stuffing, severed on a Cox’s apple fritter with leek and Erddig cider sauce. Erddig Apple food challenge. The Mulberry Inn. 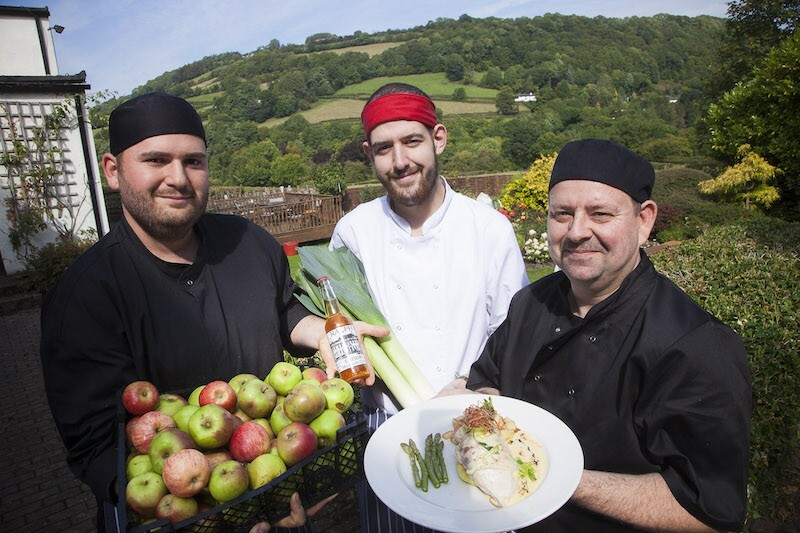 Pictured are Matt Pugh, Wyn Morris and Chef Robert Ankers . The Bellis Brothers are the second dessert to make it to the final and finish off the top three of this year’s Apple Challenge. 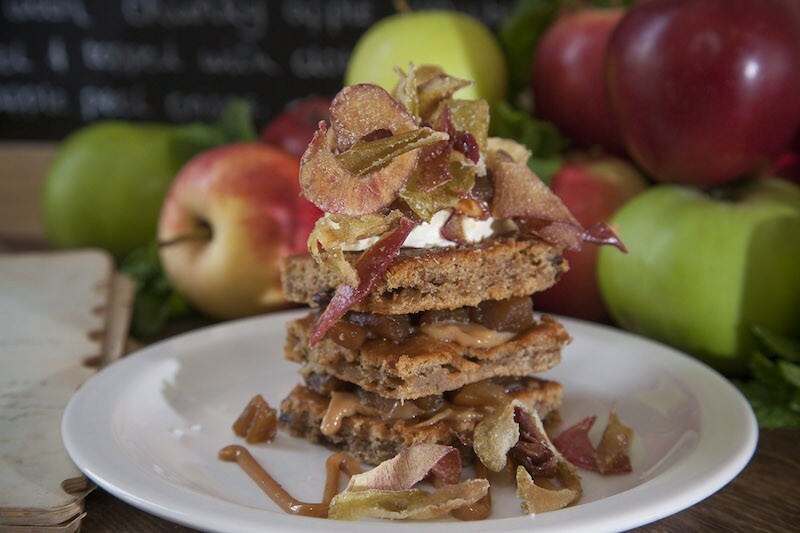 This towering dessert features a variation of a traditional sponge cake with cinnamon, chopped walnuts, pecans, sultanas and apple sauce which is made from a selection of Erddig’s apples. Erddig Apple food challenge. Bellis’ Brothers, Holt. Erddig Apple food challenge. Bellis’ Brothers, Holt. Pictured are Fiona jones, Marie Streton, Kevin Bridson, Estelle Cank, Ffion Hughes, Renee Carroll and Sarah Lewis. 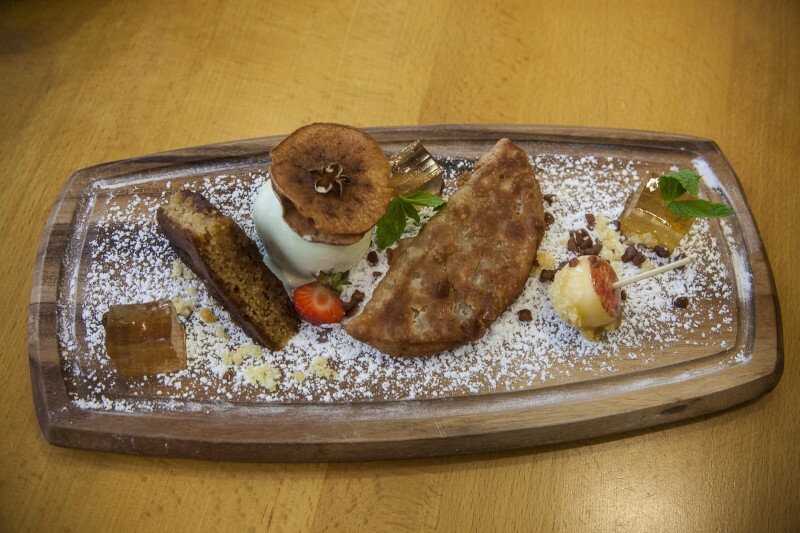 Destination Manager at Wrexham council Joe Bickertson, said: “We were blown away by the sheer brilliance of the dishes created for this challenge. Every single entry was fantastic, making the judging process extremely difficult. The three finalists will now compete in a cook-off on Wednesday 21st October, which coincides with National Apple Day. The chefs will have one final chance to prove that their creation is the pick of bunch to a group of local tourism and food businesses. Over the next two weeks, all three restaurants will retain their shortlisted dishes on their menu for the public to enjoy one last time.